Suspected or confirmed communicable diseases identified in Pima County are reportable to the county health department. There are 89 different reportable communicable diseases that Arizona clinicians, Administrators of Health Care institutions and Administrators of Correctional facilities are mandated to report under the Arizona Administrative Codes (R9-6-202, R9-6-203 and R9-6-204) as revised September 30, 2013. 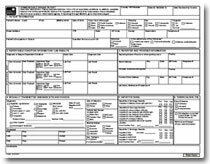 Communicable Disease Report forms can be downloaded from this website,completed and faxed to the Pima County Health Department Disease Control Program. If you are not a medical provider, health institution administrator, or correctional facility administrator, but think you have communicable disease, please see your provider.